(News Investigators) /Governor of sokoto state and 2019 Peoples Democratic Party (PDP) presidential aspirant, Aminu Waziri Tambuwal, has vowed to split the offices of the Accountant-General and Attorney-General of the Federation, when elected president. Mr. Tambuwal, who said this in Markudi, Benue state, while on a courtesy visit to Governor Samuel Ortom, yesterday, also promised that his government will facilitate a robust process that would lead to the restructuring of key areas of the Nigerian State and its political economy. A statement on Sunday by Tambuwal’s Media & Publicity team and signed by Okey Ikechukwu, quoted the Sokoto governor as saying, “for there to be transparency, fiscal discipline and professionalism, the office of the Accountant-General of the Federation must be separated from that of the accountant general of the federal government. This, we have to do, as one of the first key exercises of my government, if I receive the mandate to be president of this great nation. A good Nation desirous of making progress should have an accountant general for the federation different from the accountant general of the federal government. Mr. Tambuwal also proposed the restructuring of the power sector, by empowering states through effective legislation that can creatively generate their own electricity power. “From my experience and exposure and broad world view, and having visited and interacted with people in all the 360 federal constituencies, as Speaker, I have full understanding of the complexity of Nigeria’s unique diversity. And I know that our strength is in this our diversity. That is why we need a leader with the ability, understanding and willingness to unify this great nation and bring her to the path of peace and progress. Nigeria has never been this polarized along ethnic and religious lines and the time to end this polarization is now. This country belongs to all of us and everyone has the right to live and prosper in any part of the country without fear. 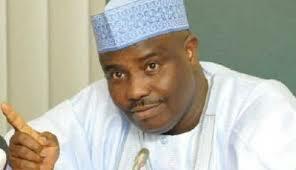 We must say no to clannishness and reclaim our collective dignity once again.” Mr. Tambuwal said.